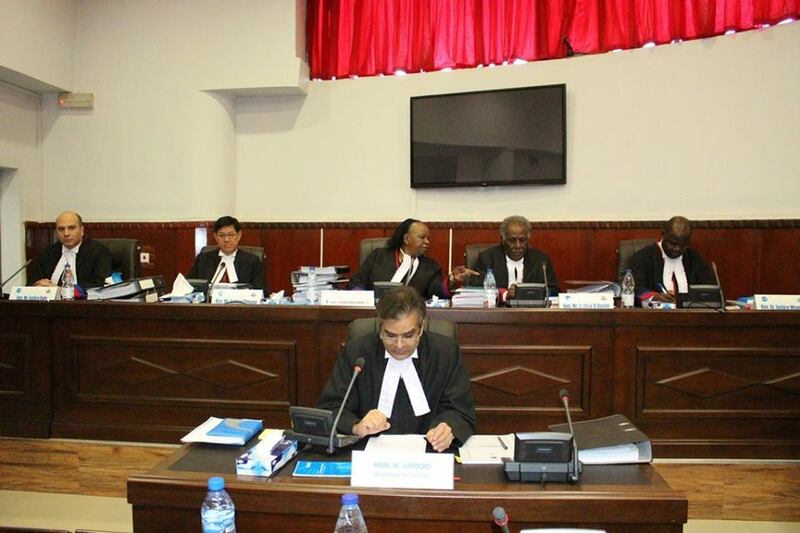 Khartoum, Sunday, February 19, 2017: The hearing of a case involving the government of Malawi and a telecommunication company, the Malawi Mobile Limited (MML) begun at the COMESA Court of Justice (CCJ) in Khartoum, Sudan, Saturday 18 February 2017. 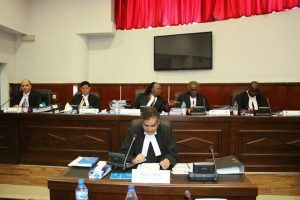 The matter before the Appellate Division of the CCJ is an appeal filed by the government of Malawi challenging a ruling made in 2015 by the Court of First Instance stating that the regional court has jurisdiction to hear the case. In 2005, MML sued the Malawi Government and its agency the Malawi Communication Regulatory Authority (MACRA) for revoking its license on the grounds that the company had failed to fulfill its obligations under an agreement entered between the parties in 2002. Under the said Agreement, the MML was required to roll out public mobile radio telephone services in the country for a period of fifteen years. The case was heard in the Commercial division of the High Court of Malawi. In its judgment, the High Court ruled in favour of MML in respect of loss of profit to the tune of USD 66,850.000 plus costs of the suit. However, the Government and MACRA successfully appealed in the Malawi Supreme Court of Appeal which set aside the judgment of the High Court. This led the MML to seek redress in the CCJ. Under Article 26 of the COMESA Treaty, the CCJ has jurisdiction to hear a reference from a legal or natural person resident in a Member State concerning the legality of any act, regulation, directive or decision of the COMESA Council or of a Member state on the grounds of unlawfulness or infringement of Treaty provisions. Such reference can only be made where local remedies in the national courts or tribunals have been exhausted. After the CCJ admitted the Reference of the case, the Government filed an application seeking the dismissal of the said Reference on the grounds that the regional court does not have jurisdiction to entertain it. The government maintained that the alleged act, the subject of the Reference, did not fall within Article 26 of the COMESA Treaty. The date of the ruling on the application is expected to be communicated after the conclusion of the current Court sitting in Khartoum. The Appellate Bench is comprised of Hon. Lady Justice Lombe Chibesakunda (Zambia) who is also the Judge President, Hon. Justice Abdalla Elamin Elbashir (Sudan) Hon. Dr. Justice Michael Charles Mtambo (Malawi), Hon. Justice David Chan Kan Cheong (Mauritius) and Hon Dr. Justice Wael Rady (Egypt). Malawi government is represented by the Attorney General Mr Kalekeni Kaphale assisted by State Attorney Ms. Apoche Itimu while Malawi Mobile Limited is represented by Counsel David Kanyanda.